Unable to locate a new placement for him, at age 14, Antwone was sent to a reform school in western Pennsylvania were he remained until he graduated high school at 17. Emancipated from foster care, he found himself in the world alone and homeless, living on the streets of Cleveland. Antwone set on a course of healing when he joined the U.S. Navy where he served his country for eleven years. After his honorable discharge from the military, Antwone became a Federal Correctional Officer with the Federal Bureau of Prisons and, after three years of service, he took a job at Sony Pictures Entertainment working as a Security Officer. It was at Sony Pictures that Antwone was referred to a free screenwriting course. Antwone’s first book, “Finding Fish: a memoir,” about his inspiring story, became a New York Times best seller. His collection of poetry, “Who Will Cry For The Little Boy?” a national best seller, creatively disclosed the road from his tumultuous childhood to the man he is today. Antwone’s poetry is featured in Nikki Giovanni’s book for children, “Hip Hop Speaks to Children.” His third book, “A Boy Should Know How To Tie A Tie And Other Lessons For Succeeding In Life,” won the award for Outstanding Literary Work – Instructional from the 2011 NAACP Awards and is in its third printing. Antwone continues as a prolific writer with his stage project, “Antwone Fisher: A Play.” On of his screenwriting projects is “Training Day 2.” Antwone made his film directing debut with the award-winning short film, “My Summer Friend,” and produced, wrote, and directed the 2013 documentary, “ThIs Life of Mine.” Antwone teaches in the UCLA Extension Writers Program, the country’s largest continuing education writing program. Do you want to hire Antwone Fisher? Directly request a quote. In 48 hours we can send you the availability of Antwone Fisher If you would like to book Antwone Fisher, Entertainment Booking Agency is the right place. 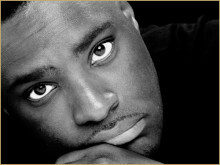 We will offer you the best price and contact the management or we directly contact Antwone Fisher. For corporate appearances or speaking engagements you can contact our agents and the will help you true the process. Tags: hire Antwone Fisher, Antwone Fisher booking, book Antwone Fisher, Antwone Fisher appearances, find more information on booking Antwone Fisher for appearances, Antwone Fisher speaking engagements, Antwone Fisher endorsements/spokesperson, Antwone Fisher appearance fees, Antwone Fisher booking agency contact info, biography of Antwone Fisher, Contact an artist booking talent agent find a speakers bureau that can book Antwone Fisher, speaker booking agency for Antwone Fisher, Antwone Fisher booking agency, Antwone Fisher booking for corporate event. EBA is one of the biggest entertainment booking agencies in the World. We book hundreds of celebrities, artist, athletes and speakers in a year. Important to know is that we are not claiming to be the management of Antwone Fisher. We are not the official agent for Antwone Fisher. Companies from around the globe book these artists and speakers true our company be course we have one of the biggest networks and we always have direct contact with the artist or the management. We help you to find the right celebrities for your corporate of private events. Please contact one of our agents to get free advice and we will help to get the world-famous artist on your party.